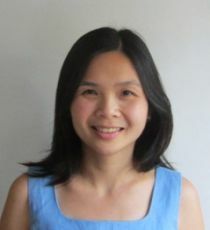 Aimee Chin is an Associate Professor of Economics at the University of Houston, and a Faculty Research Fellow in the NBER's Economics of Education Program. She received her A.B. from Harvard University in 1994 and her Ph.D. in Economics from MIT in 2001. Professor Chin’s research is in the fields of labor and development economics, focusing on the effects of human capital investments. She has examined the role of English-language skills in the economic and social assimilation of U.S. immigrants, the effects of various educational policies in the U.S., Puerto Rico and India, and the connection between technical change and earnings inequality. She is currently working on several projects on U.S. immigrants, and on affirmative action in India. Aimee Chin joined CReAM as an external fellow in July 2010.